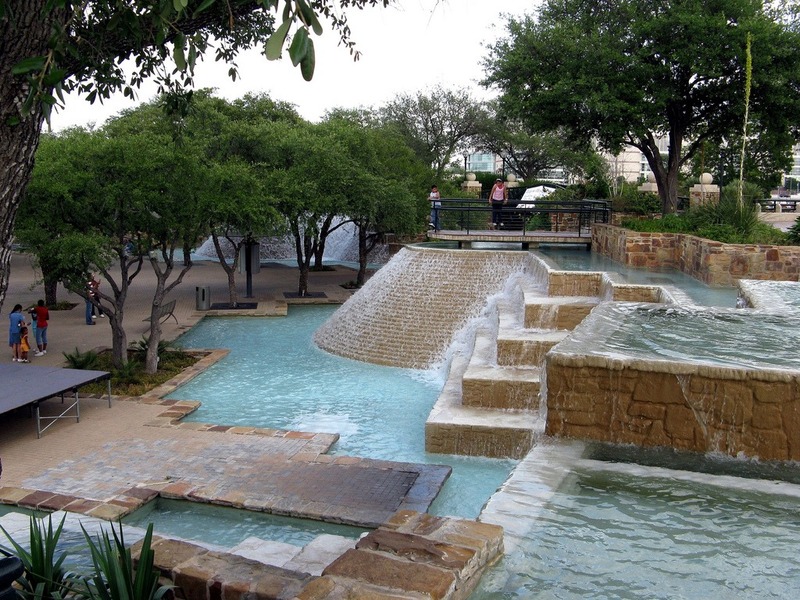 Here are the 19 city parks that you may encounter on your walks. The origins of the Acequia Park date back to Spanish missionaries, who worked with mission Indians to create a water system sourced by the San Antonio River. The San Antonio Conservation Society purchased 25 acres in 1957 to preserve the area’s environment. 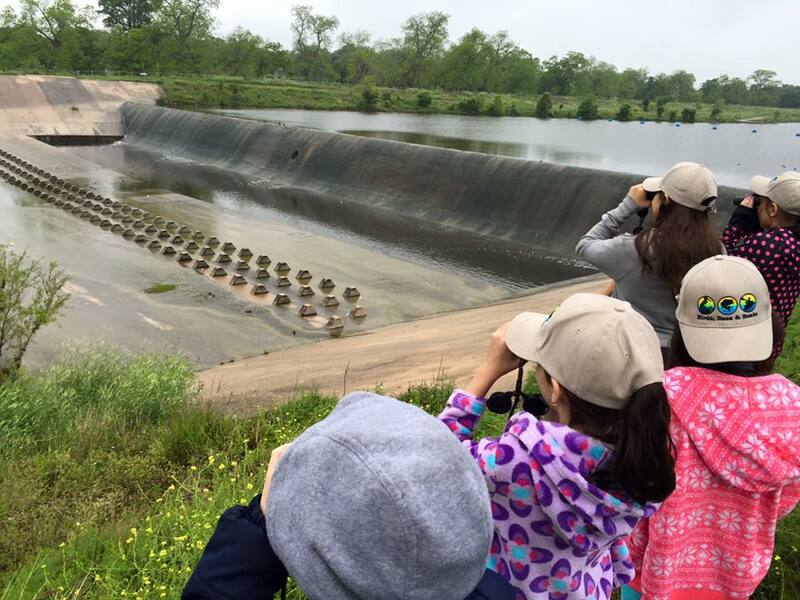 When the San Antonio River Authority proposed to reconfigure the river channel, SACS and local land owners files a successful water rights and water flow lawsuit against them. 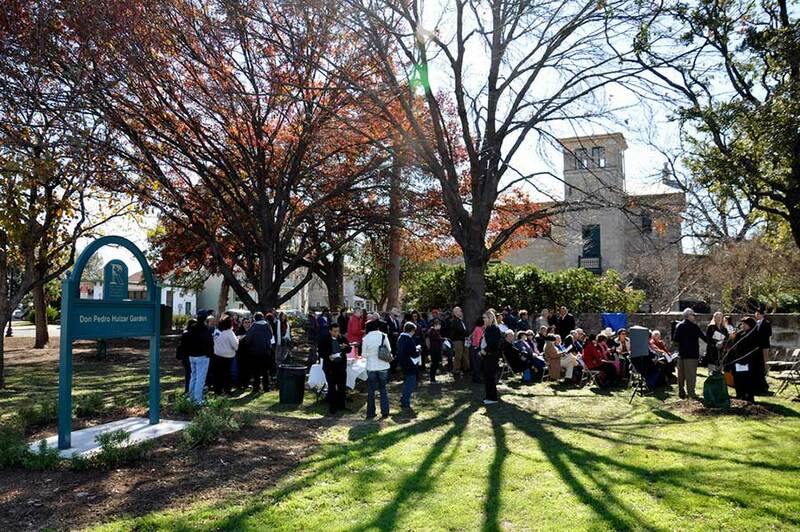 In 1975, SACS deeded the property to the City of San Antonio with the stipulation that it be used as a public park. The Alamo itself is owned by the State of Texas and, since 2015, managed by the Texas General Land Office. Alamo Plaza, in front of the Alamo, however, is a city park, including the benches and the lovely bandstand. 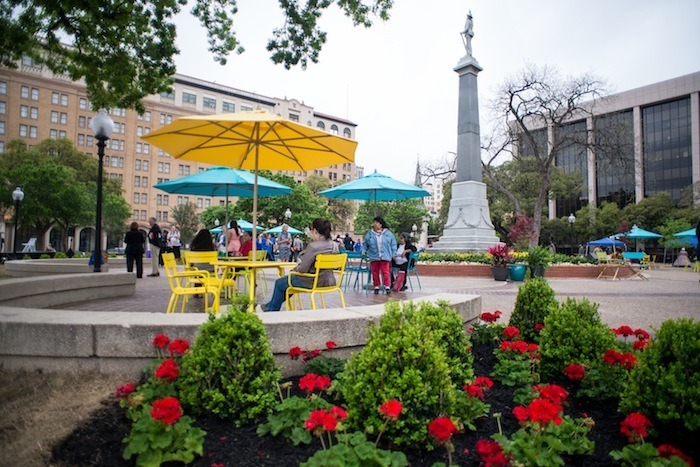 The plaza was first developed in 1888, when an alderman proposed putting in streets around the plaza, landscaping the center, and (at his own expense) installing benches. 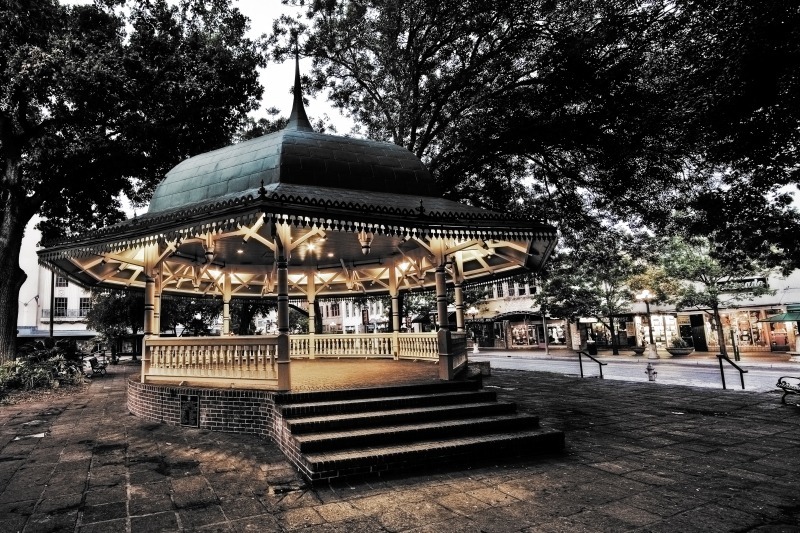 The first bandstand (what you see today is a 1976 replica) was erected in 1891 by saloon owner William Reuter (his building, now housing the “Mirror Maze,” is across the street.). 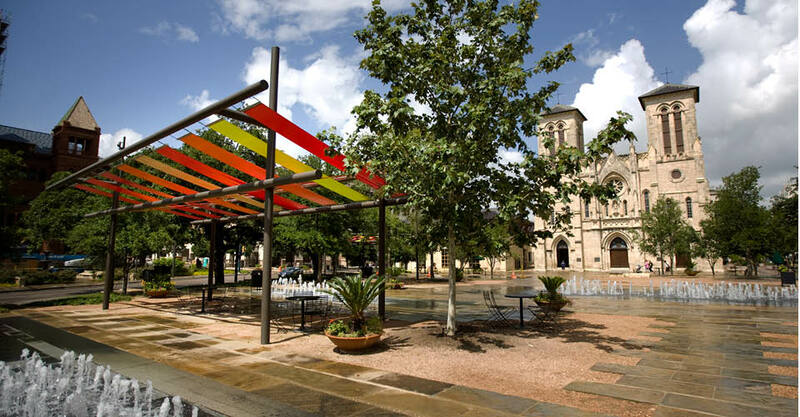 The city is in the process of developing an Alamo Plaza master plan which, they hope, will restore dignity to the plaza. 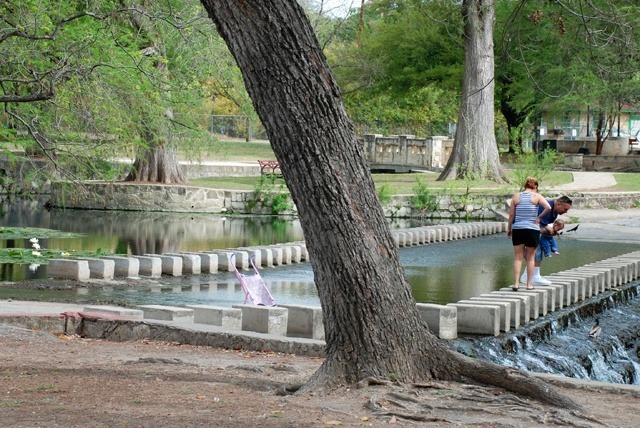 Brackenridge Park was founded in 1899 when George Washington Brackenridge, who made his first fortune smuggling cotton to New York through Matamoros, Mexico during the Civil War, donated 199 acres to the City. It now consists of 343 acres, which includes the Zoo, Japanese Tea Gardens, the Sunken Garden Theater and a city golf course, site of the first Texas Open in 1922. It is a popular site for family picnics: people camp out for DAYS to secure their spot for Easter. The old pump house that overlooks the 17th hole of the golf course was, in the 1920s and 1930s, the studio of sculptor Gutzon Borglum, who designed Mount Rushmore while working here. “Spaghetti Junction” took on a new meaning when urban renewal and highways decimated San Antonio’s Little Italy, the area settled by immigrants from Spezzano della Sila, a small town in southern Italy near the tip of the boot. They founded the Christopher Columbus Italian Society (1890) and, in 1926, built the San Francesco di Paola Catholic Church. Columbus Park. recently re-named “Piazza di Colombo” in anticipation of a proposed expensive and ambitious redevelopment that would include Italian coffee and gelato shops. it is the best place in San Antonio to enjoy a game of bocce. 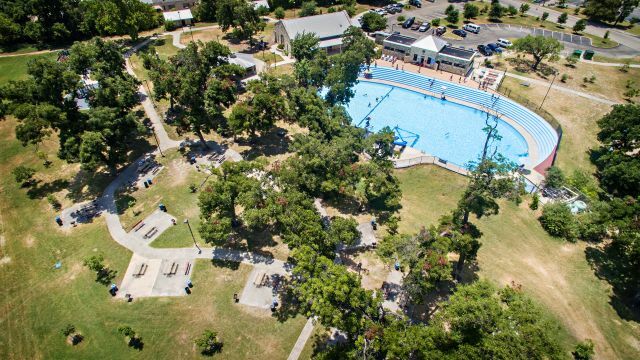 Located near the mission, the 21.4-acre Concepción Park features a swimming pool, covered basketball court, softball and multi-purpose fields, numerous picnic sites and Health Beat Outdoor Fitness Systems featuring nine pieces of interactive and stationary fitness equipment. The wavy limestone walls and sandblasted paths is an art installation designed to look like a river current. It is called “River Return” and was installed in 2005. 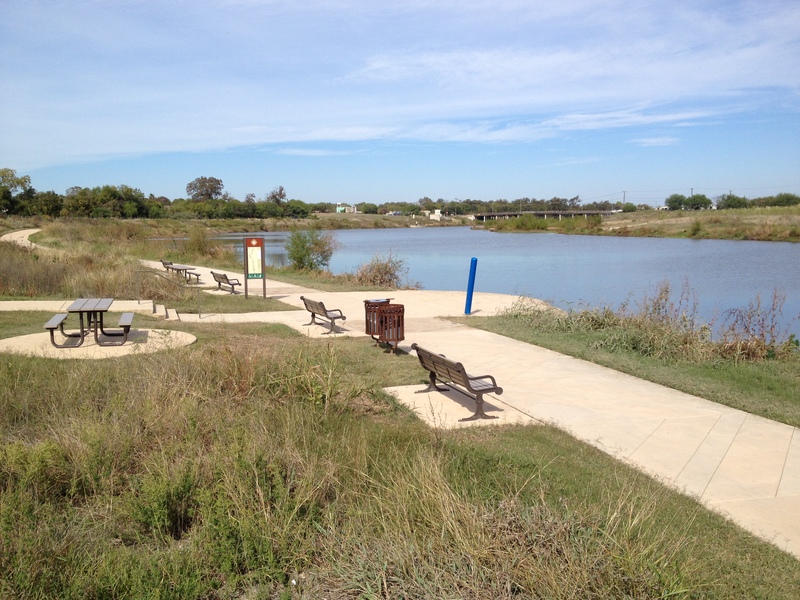 Espada Park is a welcome resting place for the walkers, runners, bikers, birders and kayakers along the Mission Reach of the San Antonio river. It has a launching site for kayaks and canoes. 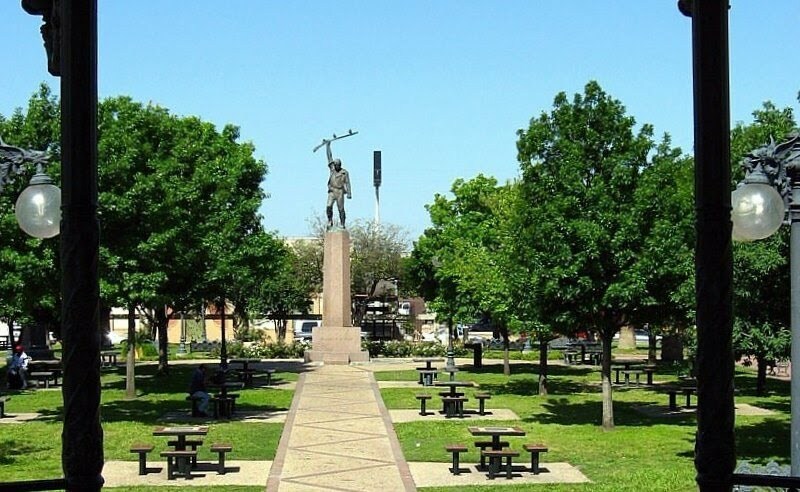 We’ve already written about Hemisfair Park, the 18.5 downtown acres that was central to the 1968 world’s fair, built over what was once 92 acres of a working class neighborhood. In all, 1,600 people were relocated in what ended up being a 147 acre urban renewal project, along with their businesses, shops, two schools and the Gothic-styled St, Michael’s, built by Polish Catholic immigrants in 1922. There is a tiny sliver of land next to the Headquarters of the San Antonio Conservation Society at the corner of S. St. Mary’s and César Chávez Blvd. that is actually the city’s smallest park: the Don Pedro Huizar Garden Park. Don Pedro was, in local legend, the stone carver who made the Rose Window at San José Mission. This little strip of land, which was all that remained of his estates, was deeded by the Society to the city in 1977, but nothing was ever done with the awkwardly shaped 1/4 acre. A plaque was installed in 2012 at the prompting of one of Huizar’s descendants. It’s in the King William Historic District. 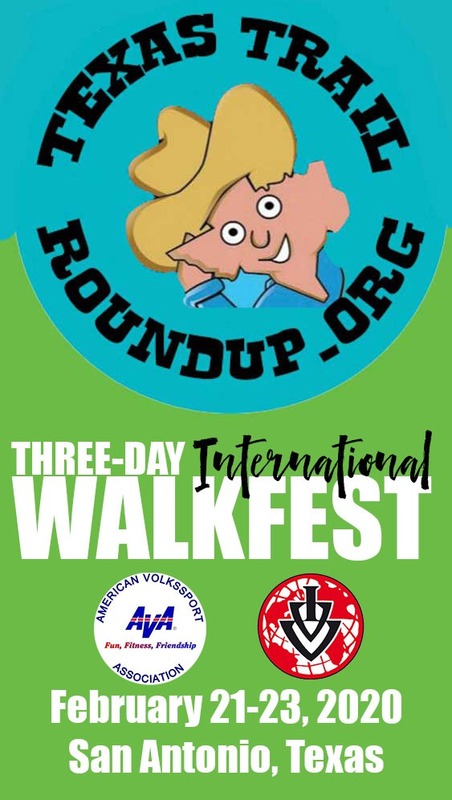 so you’ll pass it on Saturday’s walks. 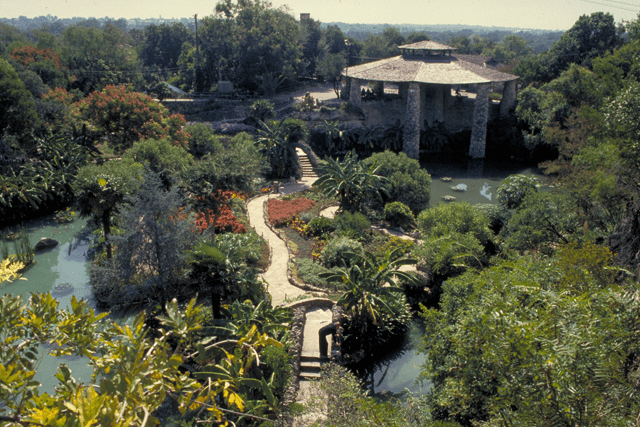 We’ve already written about the Japanese Tea Garden, one of the prettiest places in San Antonio. We wrote that it was a quarry: the ground was first broken around 1840 by German masons, who used the readily accessible limestone for the construction market. Many San Antonio buildings, including the Menger Hotel, In 1880 the Alamo Cement Company was incorporated and produced cement for 26 years in the kiln, the chimney of which still stands today. You’ll encounter this park it on the Sunday 23km walk. King William Park, a triangular lot bounded by King William, Turner and Washington Streets, is another small park: only 7/10 of an acre. It was acquitted in the city in 1901. 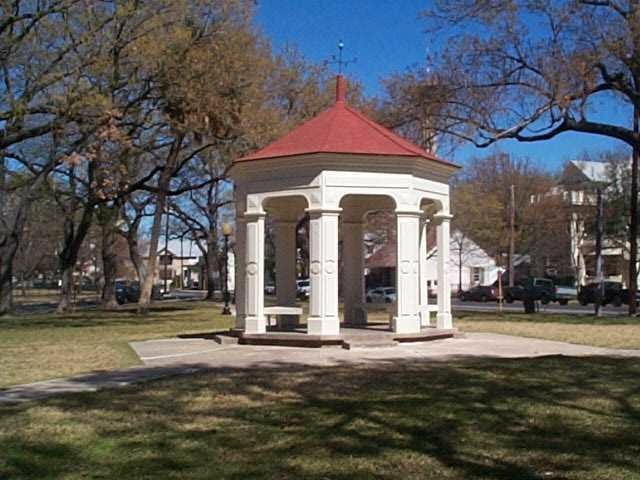 It’s main feature is the gazebo, which was formerly on the grounds of the Arsenal, near the Commander’s House. It was moved to its present location in 1957. Inside, there is a bench and a water fountain. Main Plaza (we’ve written about it before!) — also known as Plaza de las Islas, in honor of the Canary Islanders, the first European settlers — was the center of the original 1730 Spanish plan for San Fernando de Bejar. Did we mention that it is a free wi-fi hotspot? The plaza was extensively renovated in 2008. 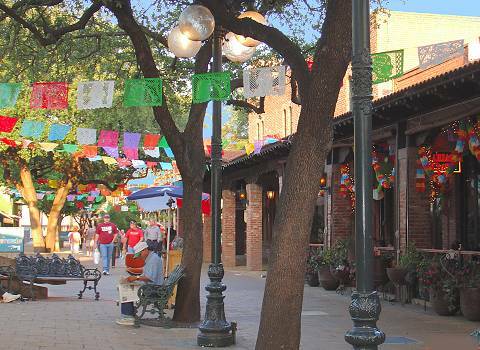 We’ve already written about El Mercado: its outdoor space, Market Square, is a city park. Plenty of benches, and toilets inside! After the Siege of Goliad, in October, 1865, Ben Milam headed out to San Antonio. He famously asked, “Who will go with old Ben Milam into San Antonio?” Three hundred volunteered to attack at dawn on December 5. On December 7, during the Siege of Bexar, Milam was shot in the head by a Mexican rifleman and killed instantly. On December 9 the Mexican Army, lead by General Cos, negotiated a truce and left the city. 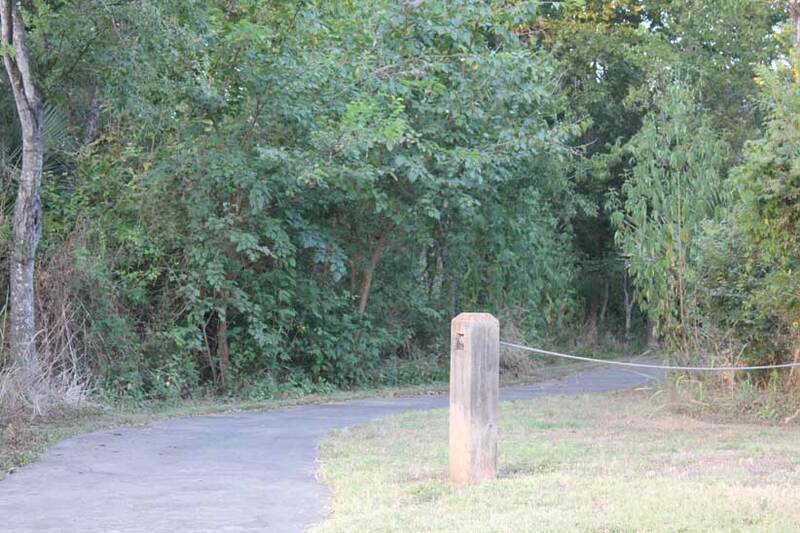 In 1848 the city dedicated 8 acres of what is now Milam Park as a public cemetery. Milam’s remains were moved there. By 1883 the cemetery was moved and Ben Milam’s remains were again relocated. 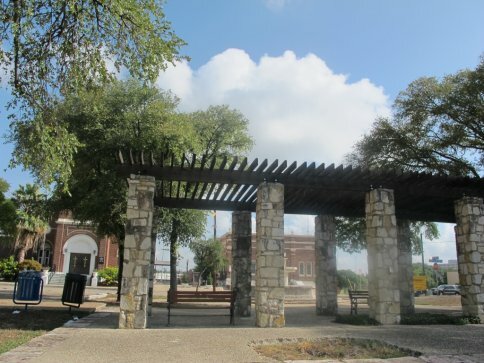 The area became a city park, named for Ben Milam, but until the mid-1970s it was just a grassy area with trees and no amenities. The renovations include the gazebo, children’s play area, game tables and elegant brick pathways. You’ll pass by the park on the Friday Friendship Walks. Mission Parkway is the 7.2-mile hike and bike trail that extends from Mission Road, ad the edge of the Riverside Golf Course and ends at Mission Espada. 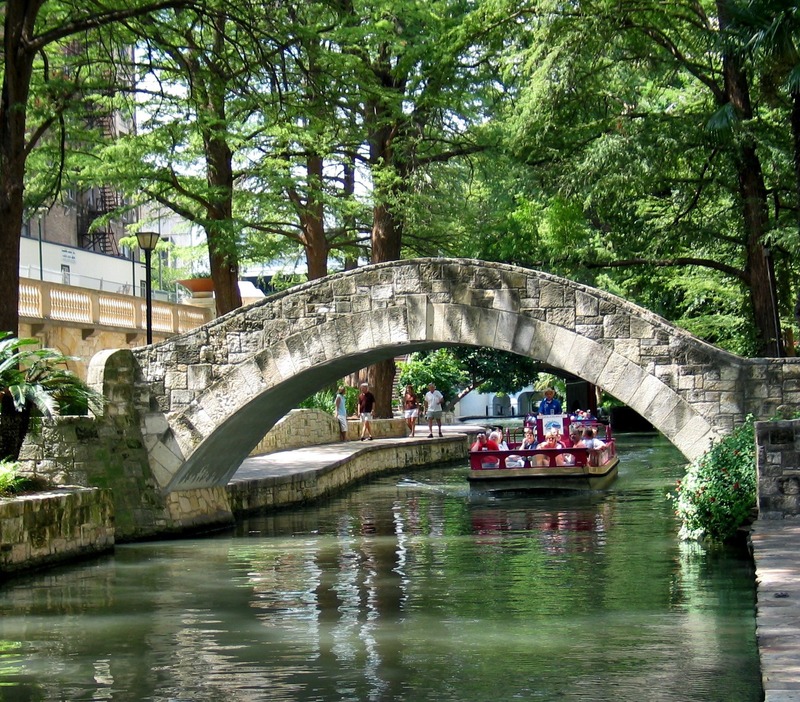 We’ve already written a bit about the famed San Antonio Riverwalk — it’s a city park! Technically, the Riverwalk is the downtown stretch: once you go north, you’re on the Museum Reach, and south is the Mission Reach. It’s 3.51 miles of walking paths. Here’s one thing to look for: On June 13, 1691 Father Damian Massanet conducted the first Catholic Mass in San Antonio on what is now called “Marriage Island,” between Presa and Navarro Streets. Rolando Briseño was commissioned in 1991 to create a sculpture to commemorate this Mass. The island is now the root ball of a cypress tree that was planted over 100 years ago. It is said to bring good fortune to any couple married there. There’s nothing glamorous about the 12.9 acres of Roosevelt Park, named after Teddy Roosevelt, who trained nearby with his Rough Riders. It features an outdoor, seasonal swimming pool, a playground, 25 picnic units, a community building, a basketball court, two pavilions, and a multi-purpose field. You’ll pass by it on your way to the Missions on Saturday. We’ve already written about the Spanish Governor’s Palace, on Plaza de Armas behind City Hall. 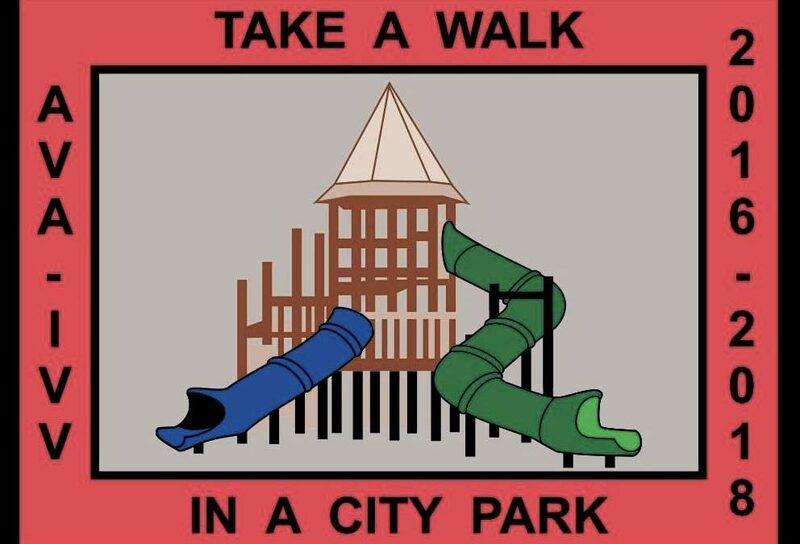 It’s a city park! 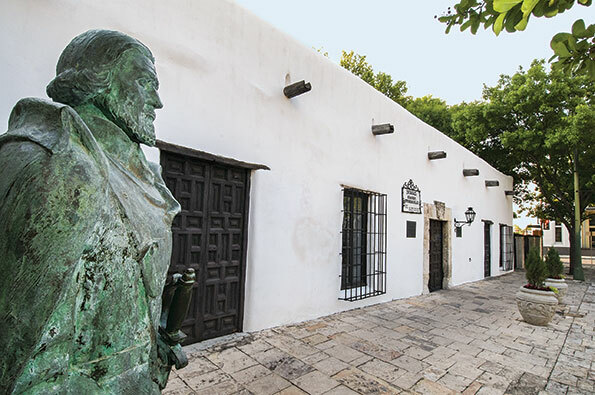 The statue in front of the entrance is called “The Conquistador,” and was a gift of the government of Spain, installed in 1977. Veterans Memorial Plaza is in front of the Tobin Center for the Performing Arts. Dedicated on November 9th 1986, a crowd estimated at 10,000 veterans, family members, active-duty military personnel and citizens attended the ceremony. General William C. Westmoreland, commanding general of all forces in Vietnam (1964-1968), was the keynote speaker. Scottsdale, Arizona artist Austin Deuel created “Hill-881 South,” the central statue, which was chosen because it is symbolic of the compassion of one man for another during the heat of battle. Permanently encased within the memorial is an air-tight compartment that contains a complete list of the names, serial numbers, branches of the military and dates of service of the 60,000 men and women from the San Antonio area who served in the Vietnam War.